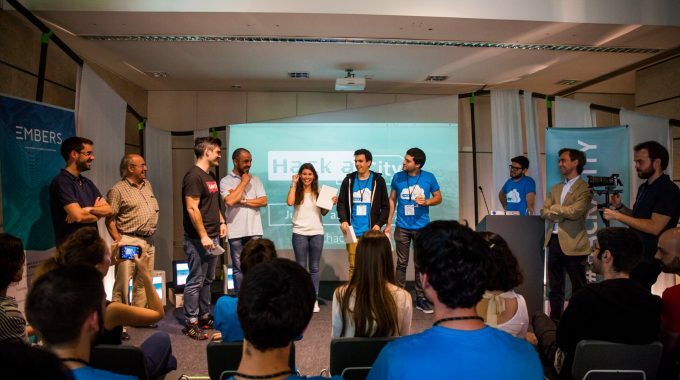 Hackacity closes the Start & Scale Week | ScaleUp Porto. 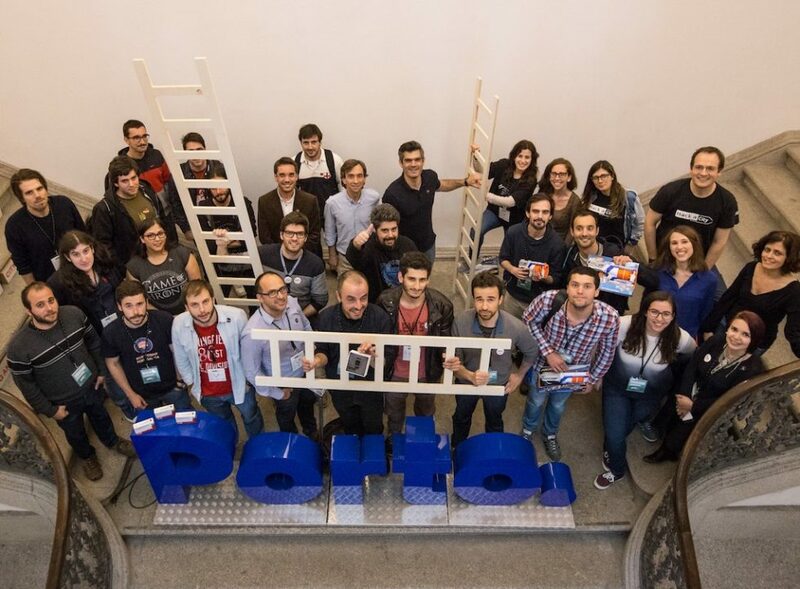 The week that was intended to boost the city of Porto as a center of innovation, entrepreneurship and employment at a national and international level, came to an end. Hackacity made this the longest day of the Start & Scale Week. 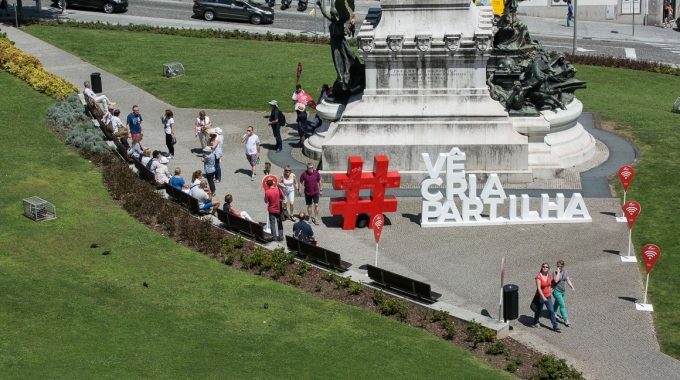 After the teams were created, the participants moved into the various Palácio das Artes rooms with a very simple goal: to develop, in 24 hours, a tech solution that would contribute to improve the lives of citizens and tourists of Porto. To accomplish this goal, they had at their disposal the data provided by the several cities that participated in this technological marathon –Amersfoort, Utrecht, Santander, Olinda and Recife. After a few hours, fatigue was gaining ground and on some teams the participants took turns sleeping, while others chose to resist. Several activities were held overnight to energize the hackers – massages, “old school” games, stretching exercises and much more. When 6pm rolled around – it was time to stop, shut the computers and defend the projects. Paulo Calçada, representing the city of Porto, Ricardo Vitorino from Ubiwhere and Rui Marques from 7Graus, evaluated the projects and gave feedback. “A Minha Paragem” was the winning solution. The app lets you know when a bus will arrive at a stop. It also can send alerts to users so they know when to leave the house. Thus, the time that would be lost while waiting at the stop can be used for other things. But the team that created this solution wanted to go further. Being aware that not everyone has the same relationship with technology, the team believes that this can be installed at bus stops and stores, using screens that display the estimated time of arrival of the bus..
VELO CITY, the app that shows the best routes for cycling around the city, got second place. In third place was the application Check the City. This app works as a kind of custom script based on user preferences for tourists. This week brought the community together and attracted international attention. This will be one of many steps that drive the creation of a sustainable ecosystem of entrepreneurship and innovation. 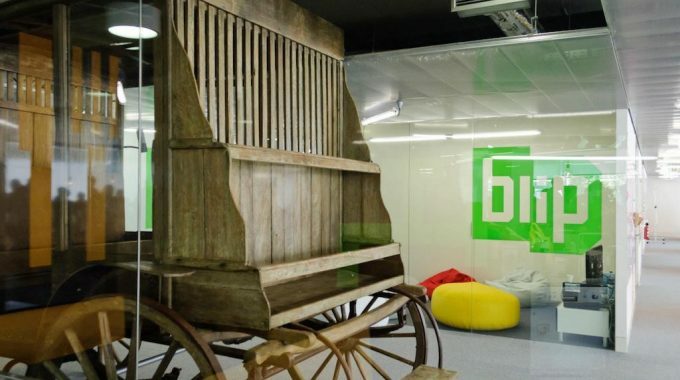 Where fun meets hard work, tech and growth: Meet Blip! previous post: Don’t Stop – Scale Up !